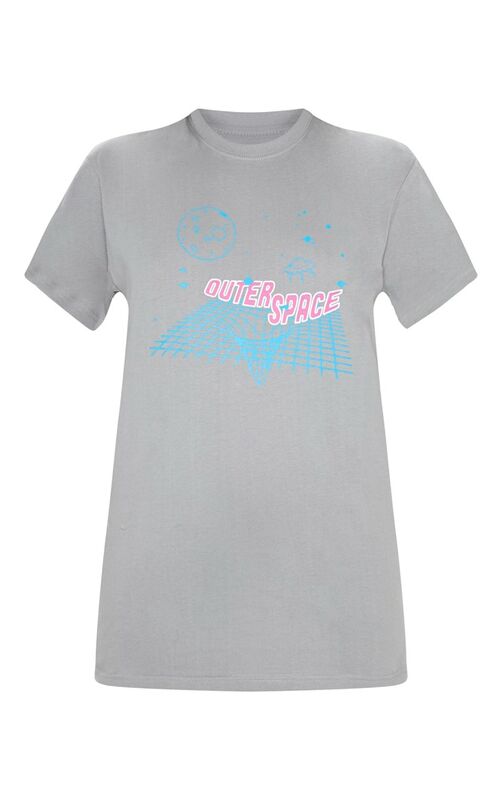 Elevate your off-duty look with this must-have T-Shirt. 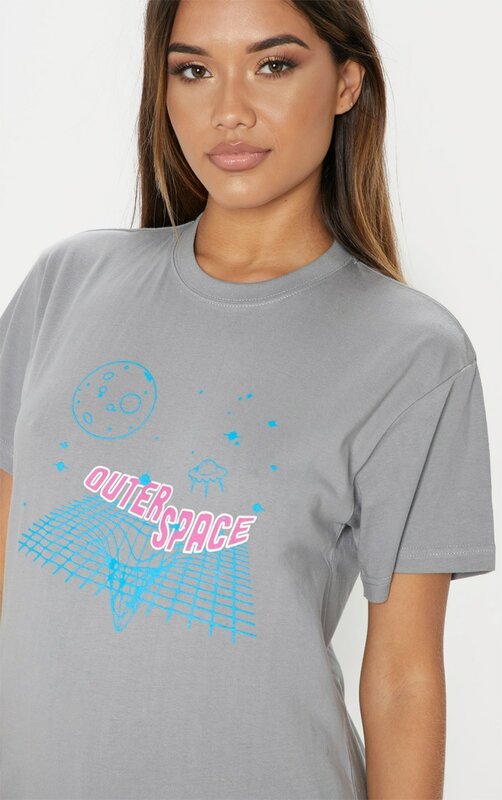 Featuring a space grey fabric with an outer space graphic across the front and loose, relaxed fit. Team with a pair of mom jeans and complete the look with fresh trainers for the ultimate off-duty look.